"WoW" rare 4Br 1 Story in a Master Plan with Fresh 2-Tone Paint, New Flooring, Tile Throughout Traffic & Wet Areas, Breakfast Bar/Island Kitchen with Granite Counters, Lots of Cabinet Space, All Appl's incl: Micro, Firg, Wash & Dryer...etc. 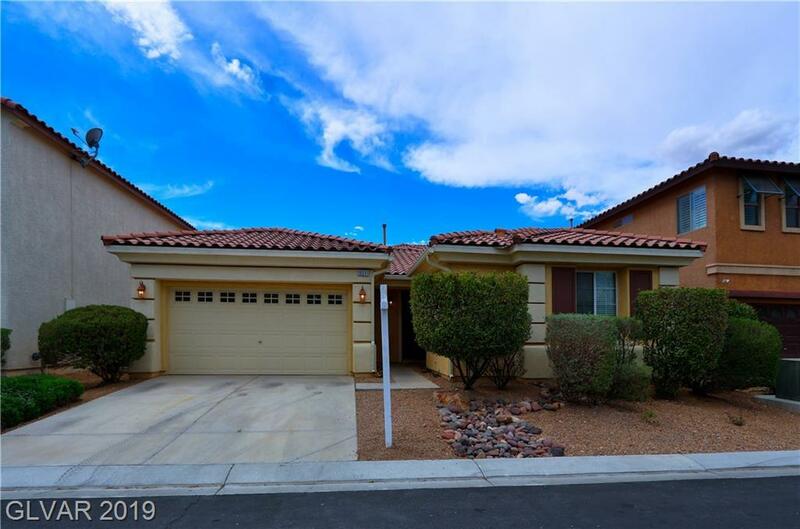 2nd Bedroom with Built-ins, Great Rm, Ceiling Fans, Master Suite with Separate Ent to Patio, Master Bath with Walk-In, 2 Sinks, Sep Roman Tub & Stall Shower. Finished Garage w/Insulated Garage Dr & more...! Directions: S On Buffalo From Blue Diamond/E On Cactus/S On Castle Keep Into La Puerta Subdivision/W On Painted Mural/S On Aloe Springs And Home On Right Side.